Akagera National Park was founded in 1934 to protect wild animals using a mixed combination of galley forest, swamp and lakes. Approximately 500 bird species can be found in the park, Big Five and wild animals. 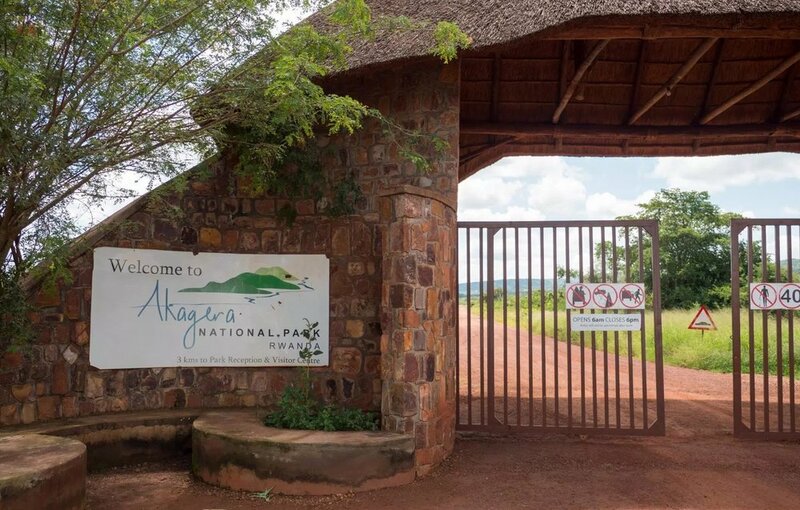 Akagera is the only park in Rwanda where you can track Big Five animals. Game drive is the main activity at the park; you will be able to see various animals as soon as you enter the park. The translocation of lions from South Africa has boosted the park to become the only park in remarkable Rwanda with the Big Five animals. There are several wild animals at the park namely blue monkey, olive baboon, vervet monkey, lions, elephants, buffalos, hippos, giraffes, bush pigs, bushbucks, sitatunga, duikers, warthogs, oribi, zebras, topi, impalas among others. Night drive through Akagera National Park is one of the most rewarding encounters to see nocturnal animals. You will be able to see nocturnal animals like leopards, lions, civets, hyenas looking for dinner. Boat trip at the park is one of the most exciting encounter, there are several lakes at the park namely L. Ihema, L. Mihindi, L. Hago, L. Kivumba, Rwanyakizinga among others, the lakes of Akagera National Park are among the richest in fish species in the whole country and considerable populations of ray-finned fish and other species are dominant. A boat cruise at Lake Ihema will reward you with views of many hippopotamus, crocodiles and water birds like Rufous-bellied Heron, Greater swamp warbler, Slender-billed weaver and Shoebill stork. In Africa there are few destinations with a vast of bird species, a checklist of more than 500 bird species have been recorded. There are many birds that dwell around the park namely purple crested turaco, shoebill, marabou stork, open-billed stork, African darter, Great Egret, Crowned Lapwing among others.